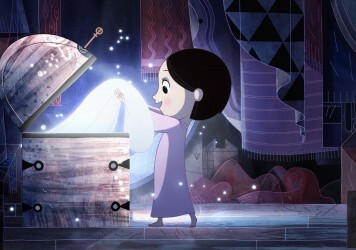 Very keen to see what Ireland’s Cartoon Saloon comes up with next. A moving tale of a young woman taking desperate measures to sock it to the Taliban. 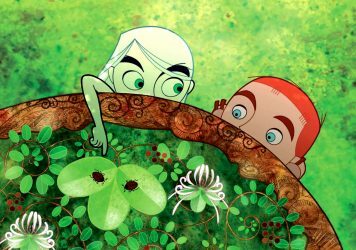 With films like The Secret of Kells and Song of the Sea on their production roster, it was clear that Ireland’s Cartoon Saloon were an animation house on the make. 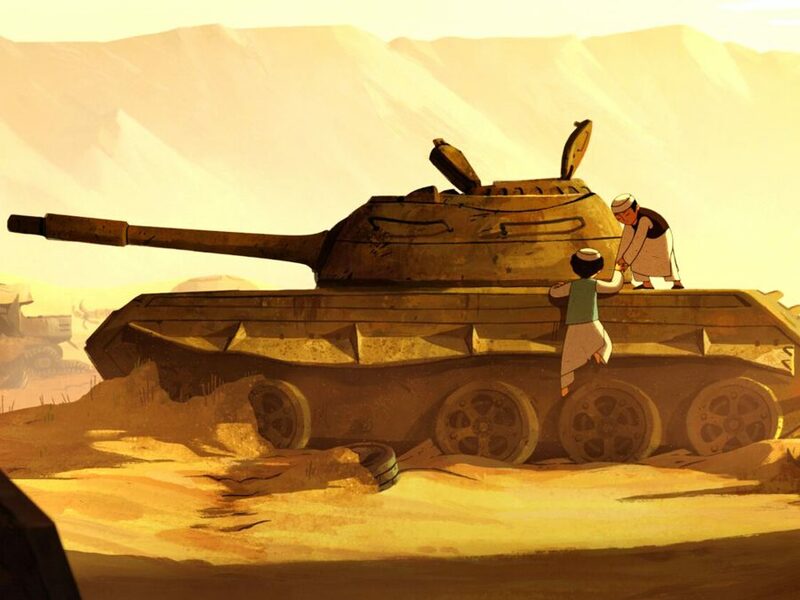 Nora Twomey’s heartbreaking The Breadwinner seals their status as a word class player in the eld of thoughtful, poetic and idiosyncratic feature animation. Their mode is social realism tinged with folkloric fantasy, though this lm dials back the faeries and magic and drops us in the politically unstable hellhole of Kabul, Afghanistan circa 2001. It follows a family scraping together a meagre living in which every grain of rice and every raisin are essential for survival. Doltish Taliban enforcers swagger around the streets and impose their tyrannical rule, which is bad news for everyone, but especially the women. The film’s title refers to Parvana, the family’s tenacious middle daughter who concocts a crafty scheme of resistance when their father is jailed on a trumped up charge. With the man of the house out of the frame, and women banned from wandering the streets without a male chaperone, even to purchase food, it appears as if a death sentence has been passed by proxy. But Parvana has a plan that is so seditious it verges on the unthinkable – just what she needs to get around the arrogant men in charge. More than a pitched battle of enlightenment versus ignorance, Twomey’s film chips away at the absurdity of religious extremism while making a plea for a society which updates its laws in line with natural cultural evolution. It also suggests that the tighter the stranglehold of power, the more prone the people are to embrace subversion to ensure their freedom. The atrocities of 9/11 aren’t mentioned, even though the early rumblings of conflict are teased throughout. These characters have little interest in the world beyond their local border – and for good reason. 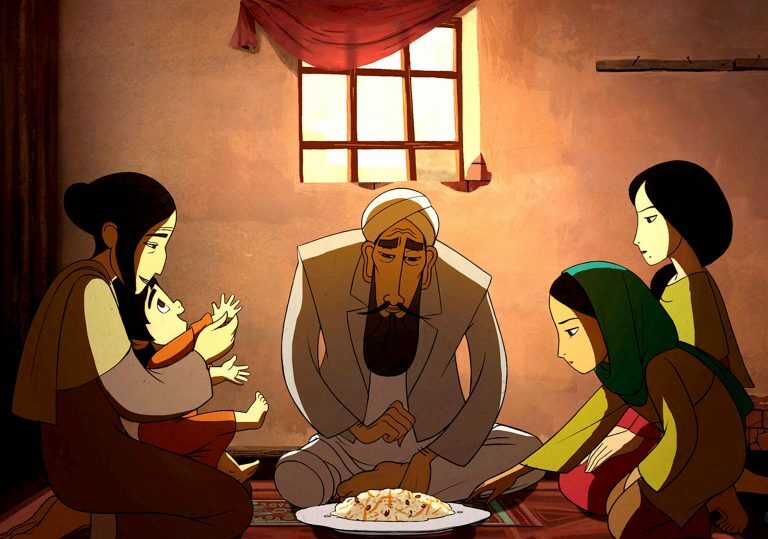 The Breadwinner doesn’t depict the Afghan people as victims of western aggression, even though that’s where its story inevitably leads. The micro-scale civic victories take on an even more bittersweet hue when it becomes clear that everyone will be punished for the Taliban’s crimes. Parvana dutifully reads a story to her toddler sister in which a boy faces his manifold fears to bring prosperity back to his village. Even though this tall tale offers a handy continuous commentary on the brutal realities, it also operates as a celebration of art as cosy refuge from life’s torments. 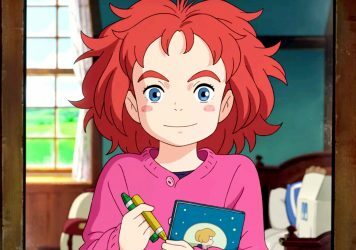 The animation style is bold, crisp and unshowy, and serves the modest desert-village setting nicely. 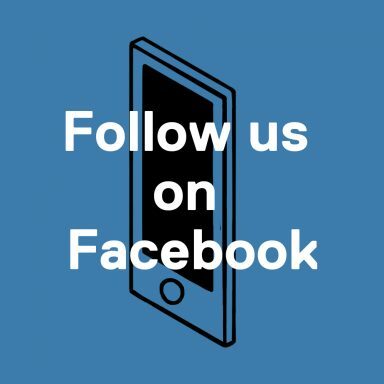 The lm avoids wacky humour and demographic- targeting stereotypes, but never feels too po-faced or downbeat as a result of that. It also offers a careful and unromantic depiction of Central Asia, working as a necessary corrective against works which exoticise the region and culture. The constant looping back to the story-within-the-story becomes a little tiresome after a while, especially in the lm’s dramatic final stretch where the reality is now more absurd than the fiction. Yet the blunt-force power of the film is undeniable, even as it climaxes on a note of hopeful resignation. And while its message of female empowerment is wrought from a highly specific time and context, it goes without saying that it has much to say about the treatment of women from all walks of life.